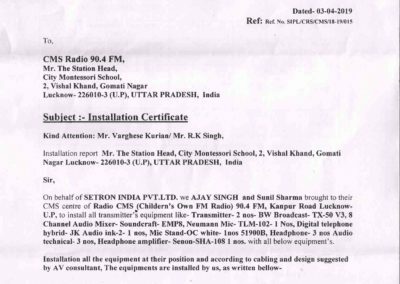 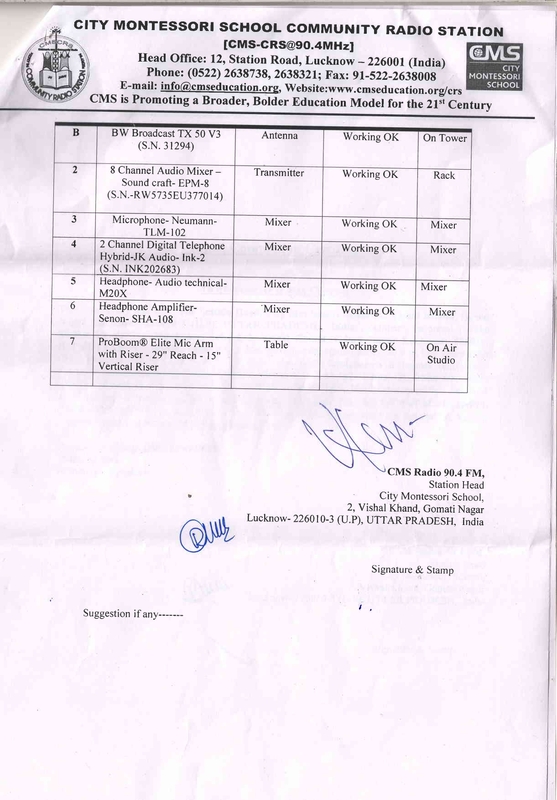 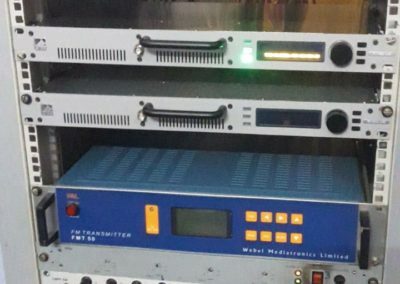 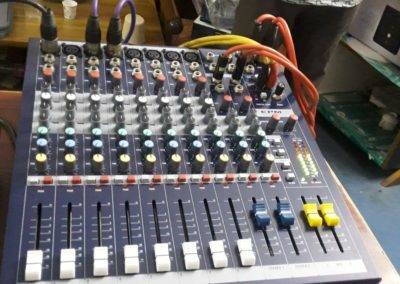 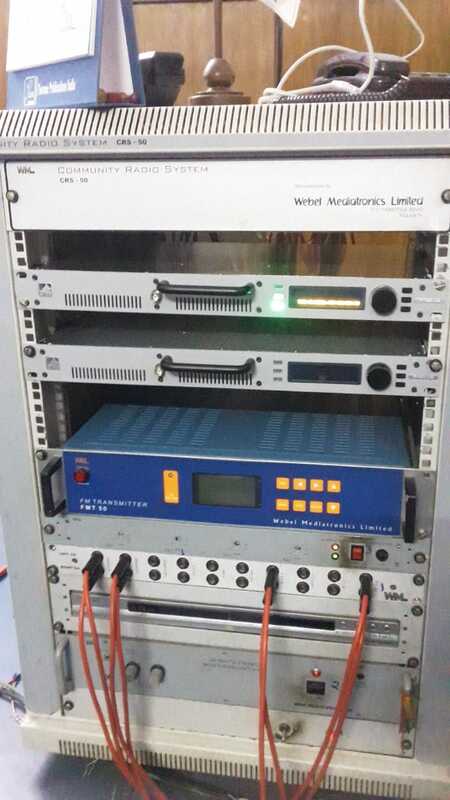 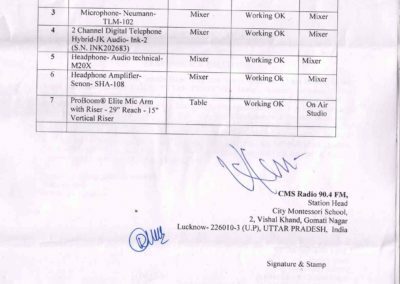 City Montessori School Community Radio Station at CMS, Kanpur Road, Lucknow, UP came into existence at a frequency of 90.4 MHz. 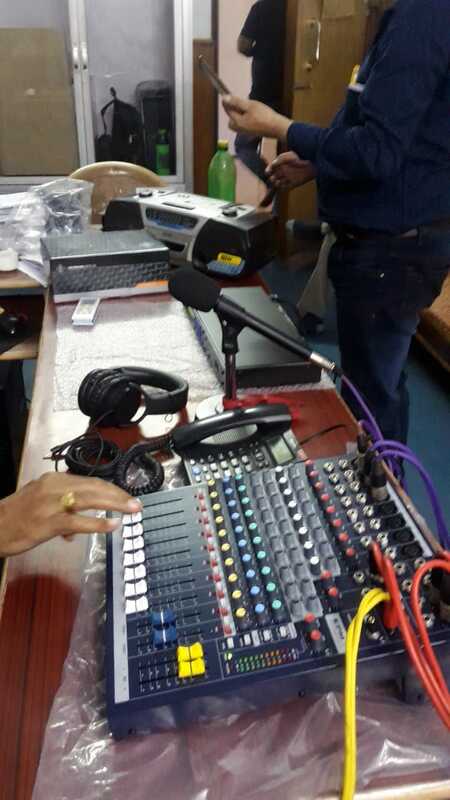 CMS Community Radio was started with the sole aim to provide education to the masses. 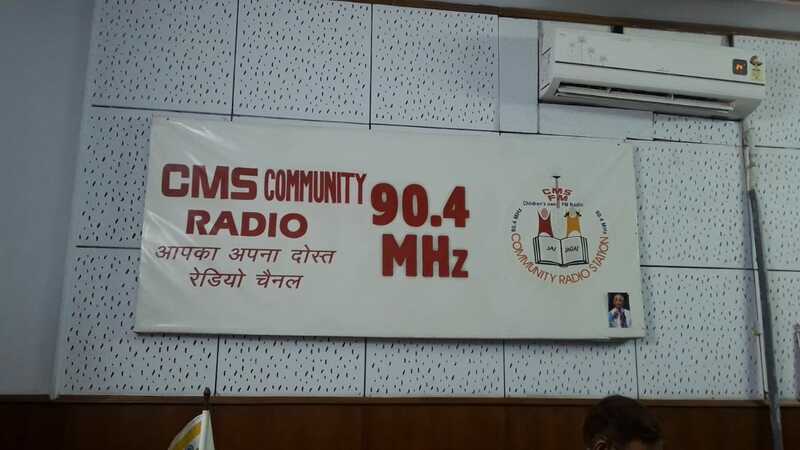 CMS has a co-ed school running in 18 campuses across the city of Lucknow, the state capital of Uttar Pradesh. 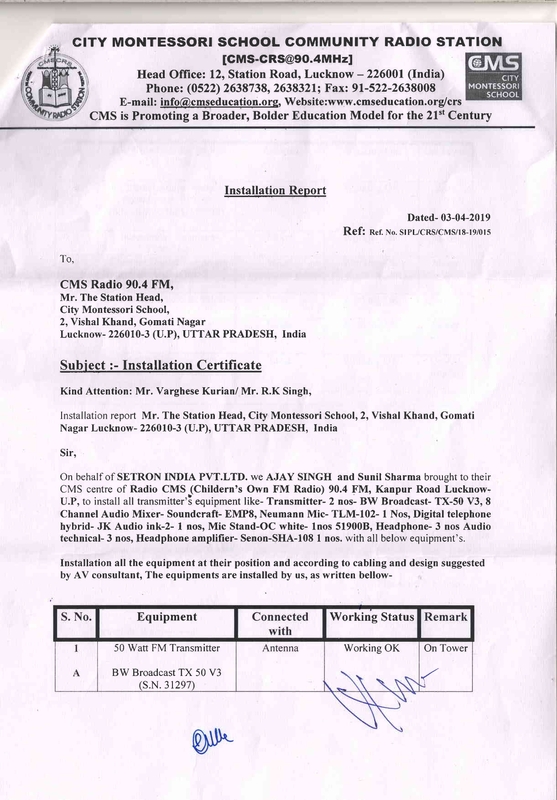 This school was founded in 1959 by Drs Jagdish and Bharti Gandhi. 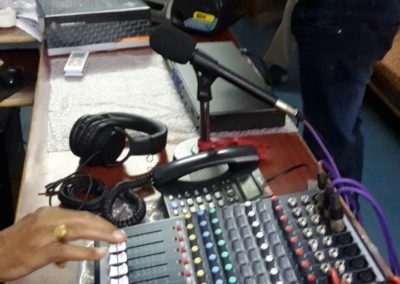 The mission of CMS Radio is to become hubs for community learning, and problem-solving. 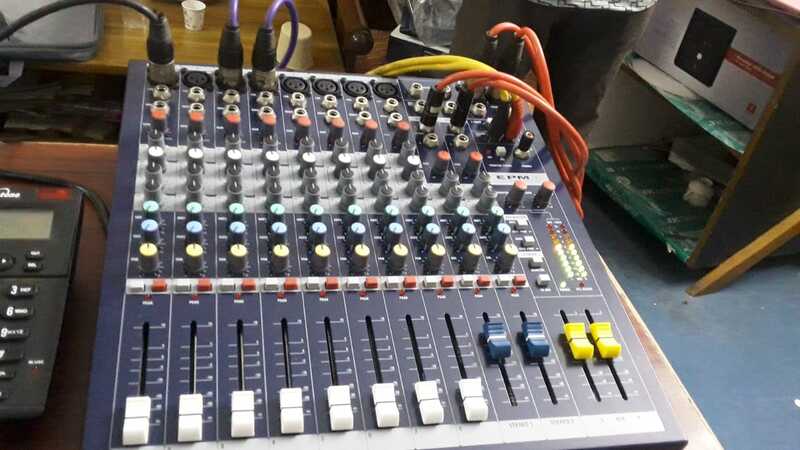 It also provides a platform for problem-solving within the community which creates the opportunity for expanded social and economic development of the community. 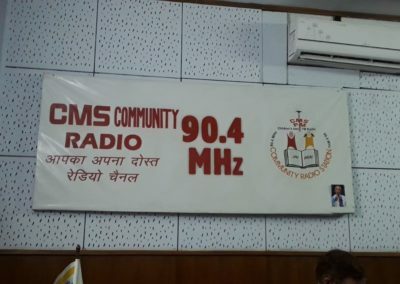 CMS Community Radio produces the programmes based on the need of the community people be it health, employment, food, nutrition and other social issues like Child Labor, Women Empowerment, Family Planning & Birth Control, and other health-related problems.